The enigmatic psyche of teenagers has long troubled holidaying parents desperate to avoid arguments and sullen behaviour – trying to ensure the whole family has fun on a trip away. Striking the balance between allowing teenagers the freedom to enjoy themselves whilst keeping them safe can be difficult, but Royal Caribbean might just have perfected the art with their upcoming ship: Anthem of the Seas. 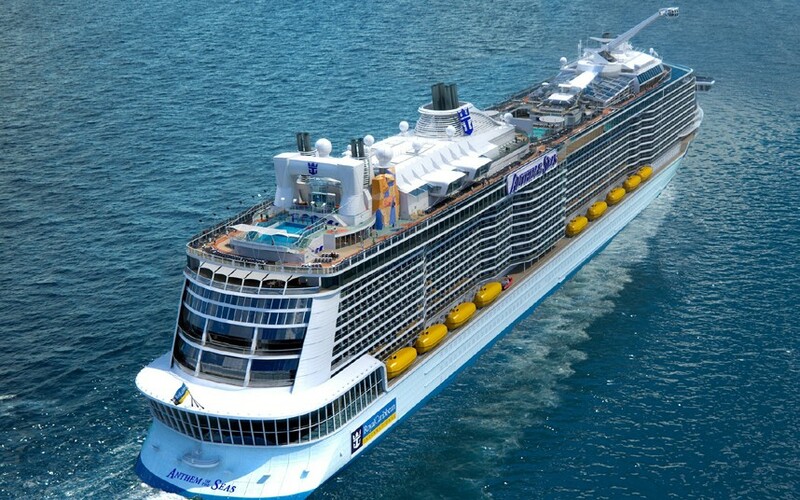 Along with sister ship, Quantum of the Seas, the Anthem will host the fastest internet connection on the open ocean. Utilising O3b Networks technology, the ship will benefit from unbroken, high-speed connections allowing passengers to stream videos, share photos and video call with their friends. Teenagers will be able to keep in contact with their friends back on the shore, sharing pictures over Instagram and keep up to date with their favourite television shows whilst at sea. 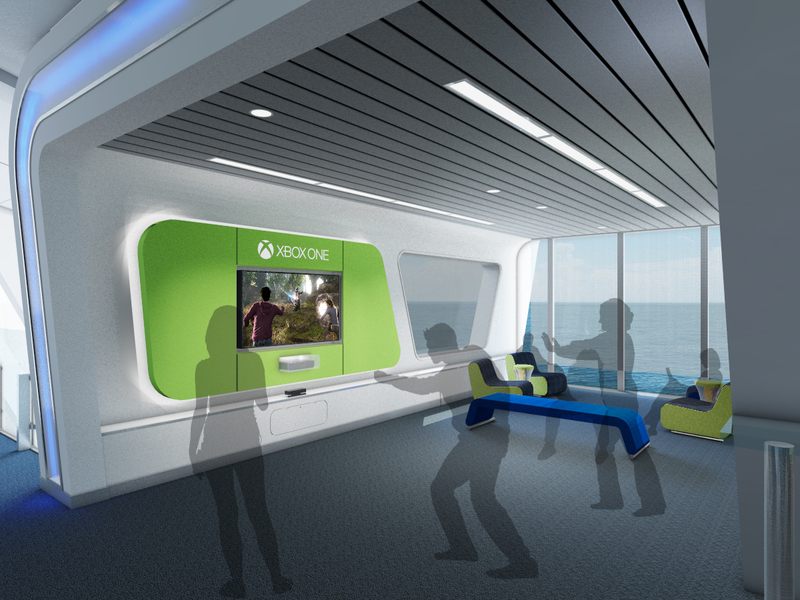 The high speed internet will also support an Xbox Live lounge where passengers will be able to play their favourite video games online with players all around the world. 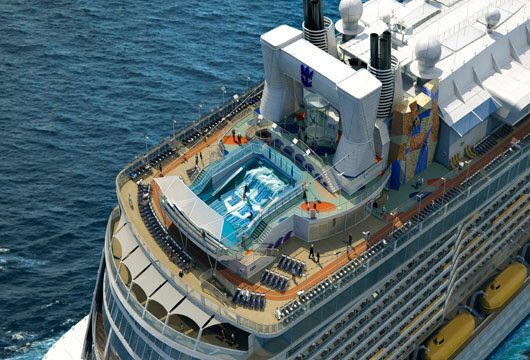 The Anthem of the Seas has put significant emphasis on helping to nurture creativity. The Scratch DJ Academy allows teenagers to learn how to mix club bangers on the decks. Unplugged Jam Sessions give teens the chance to meet like-minded individuals and make music together. Or for those who love the spotlight, Karaoke competitions are a regular feature of Anthem of the Seas’ cruises. For the less musically-inclined, the Open Mic Night is the perfect platform for budding comedians, impersonators and generally funny guys. A teen-only pool party with a twist; the Dive-In Movie and Pool Party is the perfect place to take in the latest films whilst splashing about with new friends. The teen-only space ensures the film isn’t ruined by your dad doing woeful impressions and making up his own lines. One of the central features of the laid-back atmosphere aboard the Anthem of the Seas is the Dynamic Dining option, allowing passengers to choose when and where they want to eat. With five complimentary full service restaurants operating dynamic sittings aboard the Anthem of the Seas, teens can eat with new friends without the rest of the family. This allows teenagers to develop their own timetables around their own timetables – giving them the chance to sleep in until 1pm and still grab a bit of breakfast. The Anthem of the Seas also plays host to a teen-only nightclub called Fuel, allowing teens to enjoy themselves with their friends without the risk of being embarrassed by dad doing The Snake and requesting Bat out of Hell before performing a highly-detailed air guitar solo. During the day, the laid back Living Room is the perfect place to chill out and meet new friends. For more information about the Anthem of the Seas and the great selection of trips, visit our dedicated page, or call on 0808 274 6777.